AviDemux 2.7.0.39742 Portable ~ Apps2Portable | Free Portable Apps for PC ! Avidemux is a video editor designed for simple cutting, filtering and encoding tasks. Tasks can be automated using projects, job queue and powerful scripting capabilities. 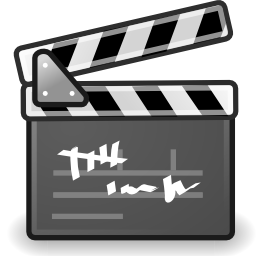 It supports most video formats like DVD, VOB, AVI, DivX, XviD, WMV, MPG, MP4, AVI, MOV, MKV, DV, FLV. Imagine an application which does everything VirtualDub can do, but runs on various platforms, supports a lot of containers, comes with all Codecs you need built-in and doesn´t use the nasty VfW interface. That applications is Avidemux! And now the "official" version: Avidemux is a free video editor designed for simple cutting, filtering and encoding tasks. It´s graphical user interface looks pretty similar to VirtualDub and most features known from VirtualDub are available too. Avidemux natively supports a great number of file types, such as AVI, MPEG, VOB, TS, MP4, ASF, OGM, MKV and FLV. At the same time Avidemux natively supports a wide range of Video/Audio formats, including MPEG-1, MPEG-2, MPEG-4 ASP, H.264/AVC, DV, HuffYUV, MP3, AAC, AC-3 and Vorbis. Tasks can be automated using projects, job queue and powerful scripting capabilities. Video-DVD or (S)VCD compliant streams can be created with easy-to-use "Auto" wizards. Multi-threading is supported!